Strongly protesting the unilateral reduction in budgetary allocation to railway projects in the State, Chief Minister Naveen Patnaik on Friday demanded immediate restoration of the original budgetary allocation made for Odisha for 2012-13. “I strongly protest against this unilateral reduction in the budget for the State of Odisha. I request you to take immediate steps for restoration of the original budgetary allocation made for the State for 2012-13,” Naveen said in a letter to Railway Minister C P Joshi. Naveen said Indian Railways had recently reduced an additional amount of Rs 34 cr from the budgetary allocation of East Coast Railway, including Rs 2 cr each from the original budget grant for three major ongoing rail links. These lines are: Khurda Road-Bolangir, Lanjigarh Road-Junagarh and Talcher-Bimalagatrh. In June, 2012, Rs 186 cr was reduced from the original budgetary allocation of Rs 723 cr provided in the budget announced on March 14, 2012. “This is against our projected total demand of Rs 2,345 cr for different projects in Odisha in 2012-13,” he said. 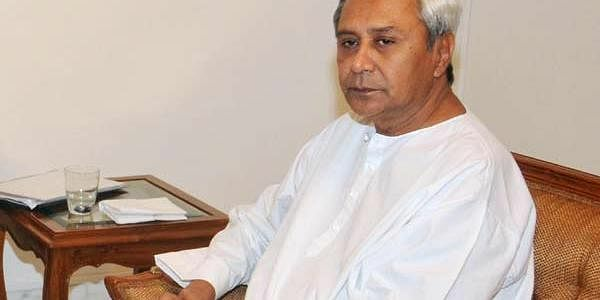 “When the State of Odisha contributes revenue of more than Rs 7,500 crore annually to the Indian Railways, it is matter of regret that Rs 220 cr has been reduced out of the paltry budgetary allocation of Rs 723 cr,” Naveen said, adding that such reductions in allocations will greatly hamper the process of better connectivity in Odisha. “Such reductions time and again result in delay in completion of railway projects and also lead to discontentment among the people,” he said.